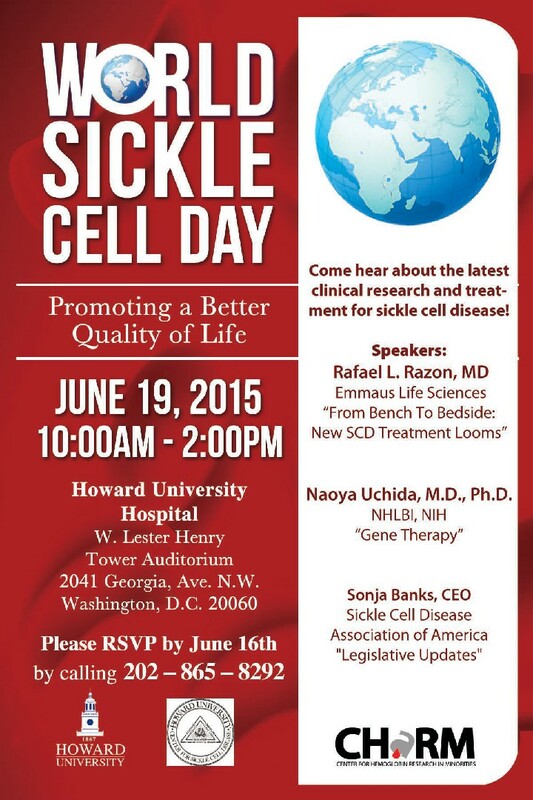 World Sickle Cell Awareness Day is June 19th. The General Assembly of the United Nations adopted a resolution on June 19, 2008 recognizing sickle-cell disease as a public health concern. World Sickle Cell Awareness Day provides an opportunity to increase understanding of Sickle Cell Disease and how it affects individuals and families worldwide. Sickle Cell Disease is one of the most common inherited blood disorders affecting 70,000 to 80,000 Americans and millions of people world-wide. Sickle Cell Disease is common among people whose ancestors come from Africa; Mediterranean countries such as Greece, Turkey, and Italy; the Arabian Peninsula; India; and Spanish-speaking regions in South America, Central America, and parts of the Caribbean. The World Health Organization (WHO) has estimated that Sickle Cell Disease contributes to 5% of the deaths of children younger than 5 years of age in some African countries. While an increasing proportion of affected children now survive past 5 years of age, many remain at risk of premature death. With early detection and use of public health interventions such as penicillin, many of these deaths can be prevented. Additionally, the burden of this disease can be reduced with increased global resources and effective partnerships. Your help is needed in the education and spreading awareness of Sickle Cell Disease. It’s about shining on others and reflecting from their accomplishments. It’s about making someone see there own potential. My interest is saving the one’s everyone forgets about. My name is Davinna and i used to have the blues… They say your experiences shape and make you. I believe depending on your own resilience they teach and show you…you are what you have been through. It’s never about what make’s you fall but what you do after… I impart the wisdom that streams from my being, make you focus on what the world is bringing…leave you dried eye but crying over seeing….. 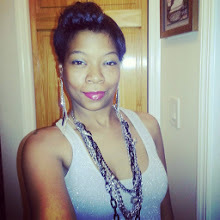 I dont bite my tongue or discount my words….cuz these verbs serve as a curve to build bridges……….. Renew kinship and make everyone stop to hear my song…… If it feels wrong it is, take the measure of what is and write me in all your glory…. But first listen to my story….. In 2008 the General Assembly of the United Nations adopted a resolution that determined Sickle Cell Disease a public health problem and one of the world’s foremost genetic disease. The result was that June 19th was declared as World Sickle Cell Day to heightened awareness, activism, diagnosis and management of SCD around the world. 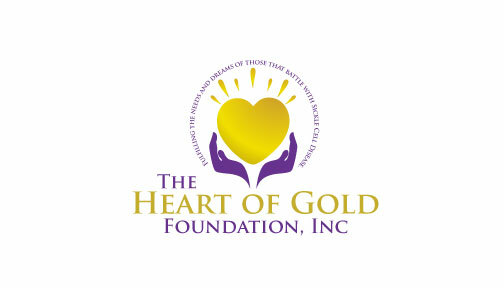 The Heart of Gold Foundation Inc. of Northern Virginia invites you to join our first 2013 World Sickle Cell Day balloon release ceremony in honor of those who have lost their lives to SCD and to raise awareness that SCD is a global health problem!